This is the second of The Stone Lions' Math books. This one is on sequences. As the flame died down Tahirah stepped forward. Before a second step as she recognized the signs and caught herself. Eyes of red that glittered with malice, massive hands with nails curved into claws. Blood pounded in her throat, the bitter taste of bile pressed against her tongue. 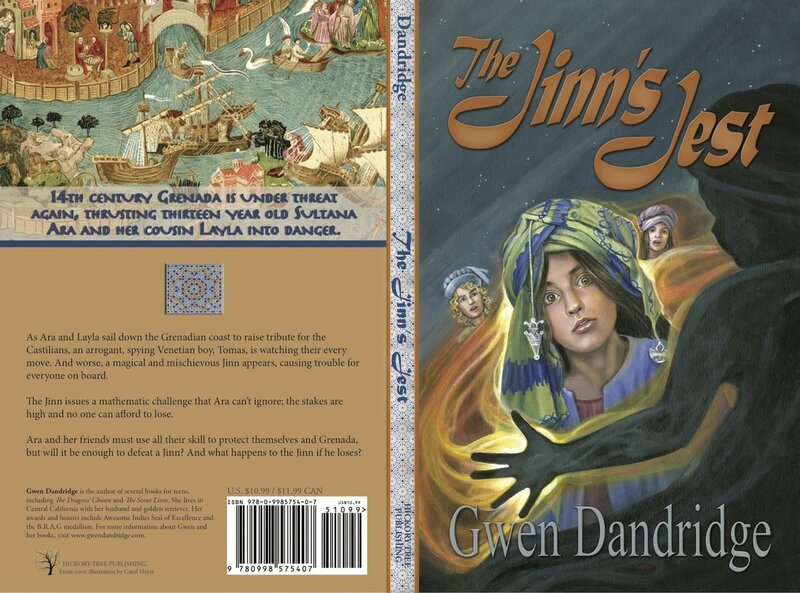 This was no ordinary Jinn, but an Ifrit, fierce and wrathful, greater even then the stories. An Ifrit, the Jinn of legend, who were as powerful as the stars and as deadly to humans as molten rock. She pressed Ara and Layla behind her. Her breath shallow and fast as she watched through lowered eyes a blade of fire sizzle, crackle and then leap straight up, five men’s height. There would be no escape. She stood in awe and deep reverence. How could she speak with one such as this? Was that what the Jinni was telling her? Not debt, nor deal but death. It was death starting at her and all those who were in this place. The girls, her friends, she had led them to this and now they would all pay if she failed.